Archdiocese of Washington Blog – Monsignor Charles Pope writes daily for the archdiocesan blog on many topics including catechesis, theology, art, music, and culture. Can We Cana – Can We Cana? is an online marriage support community offering Pre-Cana posts to help couples prepare for marriage, Pray-Cana posts to nourish a couple’s spiritual life, and Post-Cana posts with practical advice about living married life joyfully day by day. Cajun Cottage Under the Oaks – A place where all things southern, spiritual, and seasonal meet pictures, poetic words, pretty paper, and prayers. Blog by Cay Gibson. Christopher’s Apologies – Blog by Christopher Smith. O.P. Marc Cardaronella – Blog by Marc Cardaronella. Sophia Institute Press – publishes and distributes faithful Catholic classics and new texts by the great enduring figures of the Catholic intellectual tradition. Suffering Servant Scriptorium – publishes and distributes works of Catholic Scriptural prayer, such as, the Most Holy Rosary and the Chaplet of Divine Mercy. Christian Books Today – classic Christian books, Liturgical, progressive, or in-between. Eternal Word Television Network – most of the EWTN TV shows available in audio podcast formats, and also a few in video podcast formats. 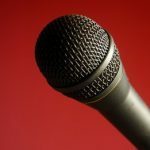 Catholic Moments – great podcast hosted by Lisa Hendey (CatholicMom.com) – discussing books, movies, fitness, and career from a Catholic perspective. Faculty of Religion –Meeting point for RELIGION TEACHERS aimed at the dissemination of educational knowledge. Catholic Answers – Catholic Apologetics from some of the finest theologians, speakers and catechists. Eternal Word Television Network – EWTN TV & Radio shows on a wide variety of Catholic subjects. Communities of Prayer -Communities of Prayer is dedicated to providing the resources and tools to properly form people in the most foundational element of the Christian faith prayer. Causa Nostre Laetitae – Promoting the culture of life. Catholic Fire – blog about many Catholic subjects including pro-life issues. 40 Days for Life – the largest international coordinated pro-life movement – book and resources. Bible Gateway – Many versions of the Bible including Catholic, Christian, and foreign languages. 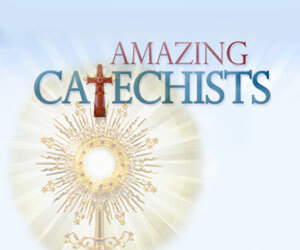 CATECHIST Magazine – a superb resource for all those who teach the Catholic faith in parishes, Catholic schools, and in the home. Pflaum Gospel Weeklies – catechists use these as great supplements to their regular lessons, and some parishes use them as the whole lesson, depending on age and grade. Theology of the Body Evangelization Team -TOBET seeks to proclaim the Good News of Jesus Christ, spread hope, and, by word and example, draw all people into the Communion of Persons of the Blessed Trinity by instructing others about Pope John Paul II’s Theology of the Body for the renewal and sanctification of the family, the Church, and the rest of society. Chastity Project – great resources for teachings and support in chastity in speakers, books, DVDs, and App. The Papal Archives – Over 1,000 years of documents at The Vatican on 85 kilometers of bookshelves — now being digitized. Women of Grace – Women of Grace is a Catholic apostolate whose mission is to transform the world one woman at a time by affirming women in their dignity and vocation as daughters of God and in their gift of authentic femininity. Catholic Therapists – offering sound psychology, solid faith, and healing.